Several years ago I wrote a column about rubber duckies, discussing the pervasive fascination with that familiar childhood bathtub toy. Who doesn’t love a rubber duck? Rubber Duckies are available in all sizes, a few varied shapes, numerous colors and with all sorts of “costumes” and personalities. However, the perennial favorite is still the yellow version, with bright orange bill and black eyes. Many collections feature “one of a kind” or limited-edition duckies; Stories are circulated about duck adventures, and tales are told of lost or rescued ducks. Ducks are used in NASA glacier-tracking experiments, and there are still sightings of some of the group of “globe-trotting” ducks that “jumped ship” in the Pacific in January of 1992. Really. Rubber Duck Races, generally to benefit local charities, are held from Seattle to the Ozarks, from Washington, D.C., to Crested Butte, from Texas to Tahoe. One of the largest duck races is in Hawaii, and some of the most informal are held in small town creeks, canals and swimming pools. I am still tempted when I see an especially appealing little duck in a store window. And I gasped with delight at news photographs of the giant rubber duck “paddling” its way through Lake Superior at the recent Tall Ships Festival in Duluth, Minn. So, imagine my surprise when I encountered a stylized rubber “duckie” with mane and tail in the middle of Virginia horse country during this summer’s road trip. I was immediately smitten, not only with the little rubber horsie that perched on the edge of the Lexington motel room bathtub, but with the motel itself. After the whoops and the grins — and the picture-taking — I thought about the marketing genius that played to the playfulness of tired travelers. The clerk was accommodating, more than willing to let us pick a mate for our little rubber traveling companion, only exacting a promise that we would honor the commitment to snap pictures as we traveled on. That we did, and the little horsie-ducks happily sat on the dashboard — a pair of cute mascots — for the next 3,000 or so miles of our journey. They traveled through city traffic, along country roads, into Quebec and Ontario, skirted along several of the Great Lakes and sat under the Gateway Arch in St. Louis. It proved, I think, that we are never too old for a little silliness in our lives. Our little companions abandoned their perch on the dashboard when the temperature soared regularly above 100 degrees back home in Texas. But you can be sure that they will accompany us once again when we take to the road for another adventure. Rubber duckies don’t take up much space or make a mess; they are exceedingly patient and compliant travelers, requiring no food or special accommodations. But they did, do and will continue to make us smile! *Multicolored duck photo by Jo Naylor/Flickr; others by Adrienne Cohen; Motel is Comfort Inn Virginia Horse Center, Lexington, Va.
Fast food isn’t particularly good for the waistline or the pocketbook! And, no matter how familiar, most of it is nothing to write home about. Seriously. There was a time when a wicker basket was a staple in the back seat or the trunk of almost every vehicle. Those were the days when people planned a day’s journey based on the distance between gas stations, and pulled off the road to enjoy a field of flowers or a lakeside vista. Today, with conveniences available at every highway exit, it’s not so necessary to plan ahead, but having a picnic basket full of good food still makes sense. Fill yours with hard boiled eggs, a package of mini carrots or sugar snap peas, cans of sardines and packets of tuna, a jar of peanut butter, a loaf of crusty French bread, crackers, and homemade granola or trail mix. Bring along either a round of Brie, a wedge of blue, or some string cheese that can stand being out of the refrigerator for a few hours. Include apples, oranges and dried fruit, and maybe some homemade cookies. Pack plastic plates, glasses and silverware, a roll of paper towels and a plastic tablecloth. Include a blanket or quilt for sitting on the ground. If you’re taking a long trip, restock at a local grocery store; forego the chain restaurants. Forget the cooler full of soda, but bring a large thermos filled with iced tea or lemonade. In cooler weather, fill the thermos with hot chocolate, tomato soup or chicken bouillon. Invest in refillable personal water bottles and fill them with tap water. When you get hungry, get off the road and get out of the car. Park by a stream or find a city park: Walk around, lounge on the grass, walk the dog, and let the kids run! Turn off the interstate occasionally. Even if you want to make good time getting to your destination, you’ll be surprised how invigorating it can be to take a scenic route or venture onto a back road. Forget the GPS and the app, and buy an old-fashioned road map, the paper accordion-folding kind that you spread out on the hood of the car, the kind that shows small towns, county roads, twisting dirt paths, historical sites and topographical features. Then make time to explore. Leave the smart phone in your pocket and teach your children map-reading skills; get lost on purpose, just so you can find an alternative way back to the highway. Cultivate spontaneity! Take a few chances. Laugh a lot! The highways were built to move goods and people quickly from place to place, and they do that well. But, any journey can be as interesting as the destination if you take a turn through the countryside and small towns along the way. It’s a whole different world view and one you don’t want to miss. Stop to photograph wild flowers, historical markers, spectacular views, a herd of longhorns, or an old barn. Look for the unusual. Stop at farm stands and “pick your own” orchards. Buy freshly-squeezed orange juice in Florida, fresh shelled pecans in Texas, cherries in Washington or just tapped maple syrup in Vermont. Don’t worry about the literary quality; just make it personal and it will be memorable. Simply write quick notes to keep in an old three-ring binder and punctuate with doodles, postcards, snapshots or restaurant business cards. Or take notes on your digital device to accompany the pictures you snap: Transfer the notes and photos to an online journal when you return home. Just be sure to date (and place) the entries so that you can look through actual or virtual pages later to recall specific events. Your kids will love reliving this part of their history, and you can tell friends and relatives about your experiences. Write about the wild flowers or the weather; the long, boring miles of highway, or the squabbles in the back seat; add anything that describes the moment! And don’t wait for an epic two-week vacation to Europe to begin journaling. You don’t have to be born with a sense of adventure to enjoy travel. You simply have to keep your mind open to possibilities, your heart open to fun and your eyes focused on the new sights all around you. Take advantage of state tourist information centers as you cross state lines. Great sources of information, they are staffed with knowledgeable volunteers, and often offer snacks, coffee and cool drinks. They also provide a welcome break from sitting! Many states also have upscale, modern rest stops with clean rest rooms, playgrounds and picnic tables. Turn off the highway and head for a small town square. Look for a local café, or a diner with lots of cars parked outside. Chances are you’ll discover friendly people, good food and good times. Strike up a conversation with your server; ask questions about the area if it’s new to you. Travel without reservations if you don’t have a deadline, and look for local hotels in small towns rather than chain motels along the highway. Consider it a bonus if you find a charming country inn, a lakeside cottage at a state park, or a historic hotel in the heart of a Midwest city. Another way: Take day trips to other towns in your area. You’ll be surprised at the things you discover! Fishing in Waxahachie? Oh, yes! Sometimes the best places are close to home, just undiscovered. And sometimes all that’s necessary to find great food is to listen to friends. Both were true this past weekend as my husband and I took a pleasant drive to a small town just 30 minutes south of Dallas. Getting off the highway is key to discovering the best Texas towns. I have known Waxahachie for many years as the site of the Scarborough Renaissance Festival, and I have been down that road several times. 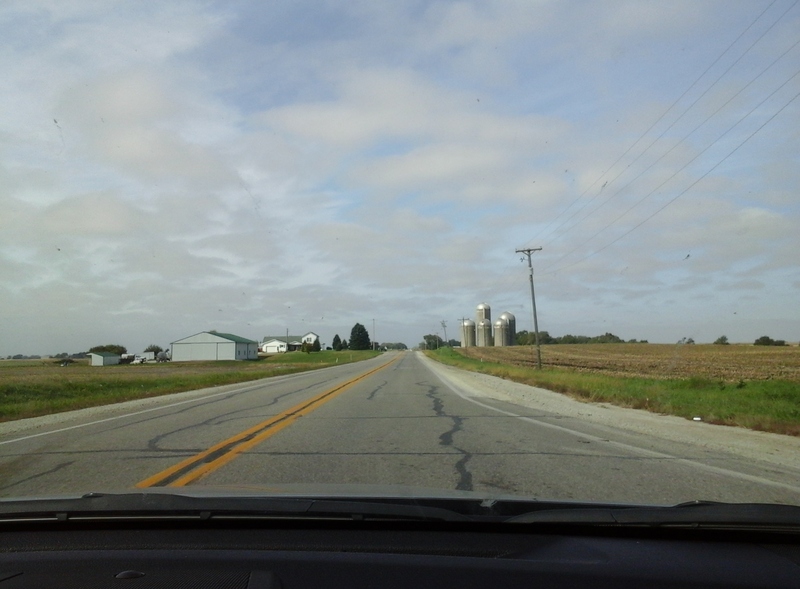 But I had never before gotten “off the road” to get into town. On this trip, however, the destination was Waxahachie’s downtown square, across the street from the historic Ellis County Courthouse. The reason? A friend had recommended that we try a newly-opened restaurant. Actually, the friend and a partner own this newly-opened restaurant, and we were only too happy to be invited to sample the fare prior to the grand opening. Both the restaurant and the town are unexpected treats. Fresh and Local — and Seafood! The Fish Grill is a labor of love many months in the making. Open for only seven days when we visited, it is sure to enjoy a long and healthy life. Retired architect Dana Wenzel partnered with Chef Christopher Stanford, a fifth-generation native Texan to bring a beautiful old bank building back to life as a charming and eclectic downtown eatery. The building dates to 1900 when it was Citizens National Bank. It served at one time at the Ellis County Tax Office, but had stood forlorn and empty for a couple of years when Wenzel and Stanford found it. Well-known Dallas developer Jim Lake of Design District and Bishop Arts District fame, had already seen the potential for a restaurant in the space. Features include the original vault doors, ornate brass handrails, stunningly detailed wall and ceiling medallions, and native stone inserts in polished wood floors. A mezzanine and upstairs bar offer patrons spectacular views of the stately courthouse and other historic buildings. Large, arched windows let in lots of light, and etched glass doors both lead outdoors and can be closed to provide private dining areas. There are vibrant red-orange walls, modern art, linen cloths and napkins, and a friendly vibe — it is immediately welcoming. And the menu is as special as the space. Menu offerings are Stanford’s creation, with a layering of flavors that is at once satisfying and unique. The goal, according to Wenzel, is to produce “good food to get out to the world,” and the governing philosophy is “fresh and local.” All seafood is from the Gulf — none of it arrives frozen. Other menu offerings, including the catfish, pork and beef, vegetables and greens, are locally sourced. The word is that if it’s not in season, you won’t get it at The Fish Grill — that includes the battered fried oysters and the Grilled Strawberries au vin rouge! Our lunch began with an impressive Mexican Shrimp Cocktail, highlighted by a piquant tomato sauce with bits of onion, pepper, avocado and just the right amount of spice. We followed that with Fish Tacos and the ultimate comfort food — Mac and Cheese, served with grilled shrimp. The only appropriate comment? Delicious! The only downside? No room for dessert, tempting as those grilled strawberries were. The bonus? Enough food in “packed with a smile” to-go boxes for additional taste treats at home. After leaving the restaurant, we took the time for a walk around the courthouse, a tour of the abundant antique shops on the square and its adjacent streets, and a leisurely drive past the impressive gingerbread homes that characterize this town. Waxahachie obviously takes pride in its past and looks toward its future. It has the feel of a gracious, cultured college town; actually it was once the home of Trinity University, but that’s another story. Because there are other stories to be told about this interesting little Texas town, you can be sure I’ll be returning to Waxahachie, and I look forward to enjoying more — perhaps many more — meals at The Fish Grill. It’s hard to know just what will trigger a long-forgotten memory; it’s harder still to know just where that memory will lead. A small piece in last Sunday’s paper mentioned that the Highway Beautification Act was signed into law by President Lyndon Johnson on October 22 — 50 years ago. Of course, here in Texas we all credit Lady Bird Johnson with the impressive expanses of bluebonnets and wildflowers along our highways. That’s all good. But highway beautification as a national mandate — Wow, I missed that one, I guess, in my youth. Actually, now that I think about it, I was living in Europe at the time — billboard proliferation along American highways was not something I concerned myself with then. But, on Sunday, that little news story suddenly brought back the memory of red and white Burma-Shave signs — and the realization that the act signed into law that long ago October day most likely spelled the end of a long tradition. Those clever advertising messages sometimes contained important messages; they certainly prompted adult smiles and kept young minds occupied for almost 40 years. The 1965 Outdoor Advertising Control Program did not actually mandate the removal of signs, and it really didn’t force states to control those massive billboards. It was designed to discourage excessive signage along the Interstates, and stipulated that development funds could be withheld for non-compliance by the states. In that way, it was effective. And the Interstate highway system soon supplanted most of the older highways. You had to be there: Missing one of the signs could sometimes be the cause of tears; more often, an attempt to fill in the missing word or phrase spawned uncontrollable giggles. It was, for generations of kids, one of the few fun things about road trips — often long, hot, dusty treks along not-so-good highways. Towns in most of this United States at that time were far apart, usually small, and boasted no readily available “fast food.” Gas station and rest room stops were the result of advance planning, for the most part. Summer or winter, travel could be iffy — heat, cold, mechanical problems, flat tires, boredom, seemingly endless stretches of blacktop. Radio station signals made news and music unreliable across vast distances. But the signs — oh, those signs! We all looked forward to them. The “game” became who spotted the first sign first. Then, everyone “won” as the message was revealed across the miles. At the height of their campaign, Burma-Shave had 7,000 signs in all but four of the Lower 48 states. Yes, the occasional giant billboard may have ruined the view, distracted drivers and “polluted” the landscape. But, Burma-Shave signs? Although I haven’t thought about them for decades, I miss them. I’m also sorry I couldn’t play the game with my own child; I have trouble even explaining the concept to my grandchildren. But, then, today we travel on smoother Interstate highways — and the kids are plugged in to their own virtual world of movies, music or audio books. The times have changed — but, the “road goes on forever.” I’ll just spend the rest of the day humming that tune and laughing about those verses! 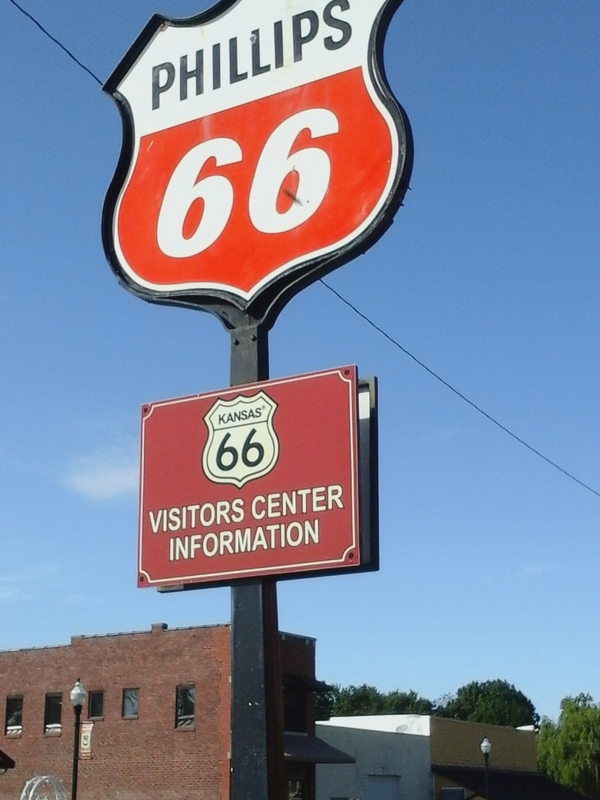 There’s currently a new interest in Route 66 and its associated memorabilia. Sadly, though, Burma-Shave signs seem to have disappeared forever. You can read more of the iconic road-sign jingles, indexed by year at Burma-Shave.org.